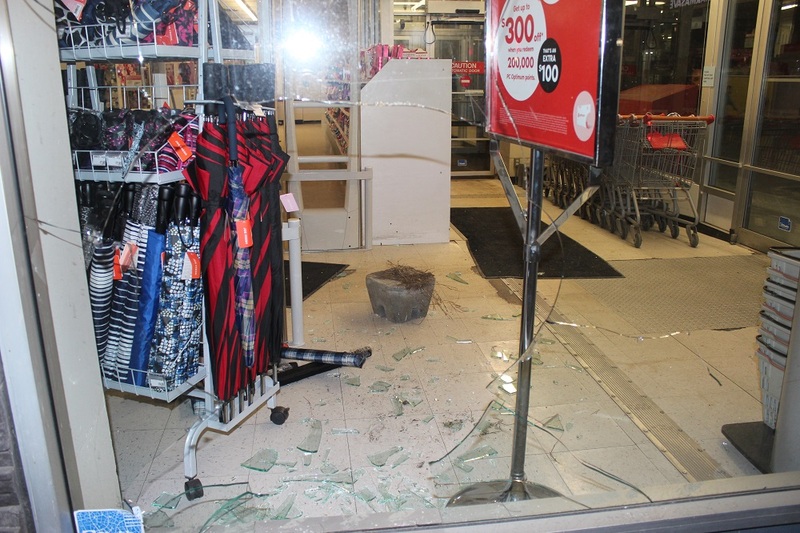 A cement block was used to smash through the glass doors of the store. “Police discovered that a window had been broken with a cement block and merchandise had been stolen from the store,” he said, adding RCMP then viewed the surveillance video and tracked down two 31-year-old male suspects in downtown Trail who were believed responsible for the incident. “Both suspects were arrested and taken into police custody (and) stolen items were recovered by police,” he said, adding both are Trail residents who are well-known to the RCMP.